Do you feel like you don’t hear as well as you used to? Would you like to know if you have hearing loss before having a complete hearing evaluation? 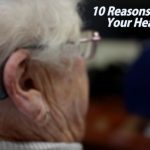 The National Hearing Test may be able to help. 1. Go to www.NationalHearingTest.org and click on the AARP member’s link or the non-AARP member’s link. 2. Enter a valid email address and some other generic information about yourself and click submit to go to the payment page. 3. Pay $5 and receive your Access Code. 4. Call 1-866-223-7575 and enter your Access Code. 5. Take the 10 minute test and get your results. The test requires that you listen to a sequence of three numbers among background noise. It’s quick and painless and only takes about five minutes per ear to complete. After completing the test, you will be given a result of either “normal,” “slightly below normal,” or “substantially below normal” for each ear. Remember, this is just a screening, but it can help to identify if you have a hearing problem. Once you’ve received your results, contact the Arizona Hearing Center by phone at 602.814.0452, or by email at [email protected] to schedule a comprehensive hearing examination; we’ll explain your hearing loss in detail, and your treatment options.